Mark Beeson is Professor of Political Science and International Relations at the University of Western Australia. 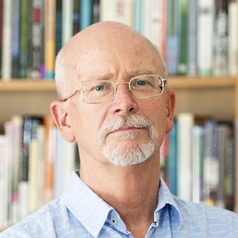 Professor Beeson is an editor of the AIIA publication, Australia in World Affairs and has also been published in the Australian Journal of International Affairs (AJIA). In 2016 he was appointed research chair for the AIIA and was co-editor of AJIA’s recently published Navigating the New International Disorder: Australia in World Affairs 2011-2015. A list of his published works for the Australian Outlook and the AJIA can be found here. Competing Capitalisms: Australia, Japan and Economic Competition in the Asia Pacific (Macmillan, 1999). Reconfiguring East Asia: Regional East Asia: Regional Institutions and Organizations after the Crisis (RoutledgeCurzon, 2002). Contemporary Southeast Asia: Regional Dynamics, National Differences (Palgrave Macmillan, 2004). Bush and Asia: America’s evolving relations with East Asia (Routledge, 2005). Regionalism and Globalization in East Asia: Politics, Security and Economic Development (Palgrave Macmillan, 2007). Institutions of the Asia-Pacific: ASEAN, APEC, and Beyond (Routledge, 2009). Issues in 21st Century World Politics (with Nick Bisley, Palgrave Macmillan, 2010). Securing Southeast Asia: The Politics of Security Sector Reform (with Alex J Bellamy, Routledge, 2012). Routledge Handbook of Asian Regionalism (with Richard Stubbs, Routledge, 2012). China’s Regional Relations: Evolving Foreign Policy Dynamics (with Fujian Li, Lynne Rienner Publishers, Inc., 2014).